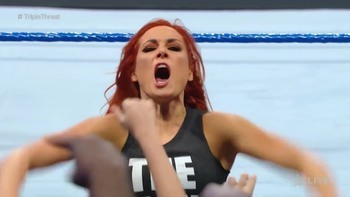 Becky with a "stone cold stunner" to and a great sell by Charlotte at a live event. 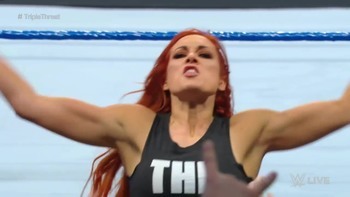 That's sort of a backwards Flair flop! 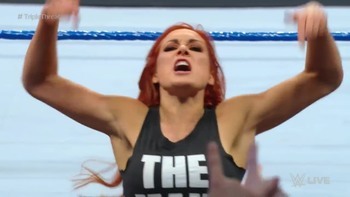 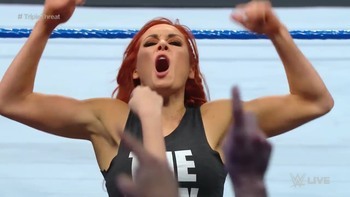 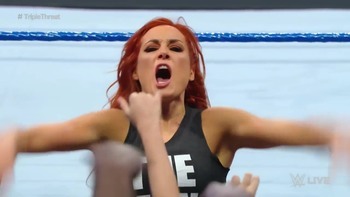 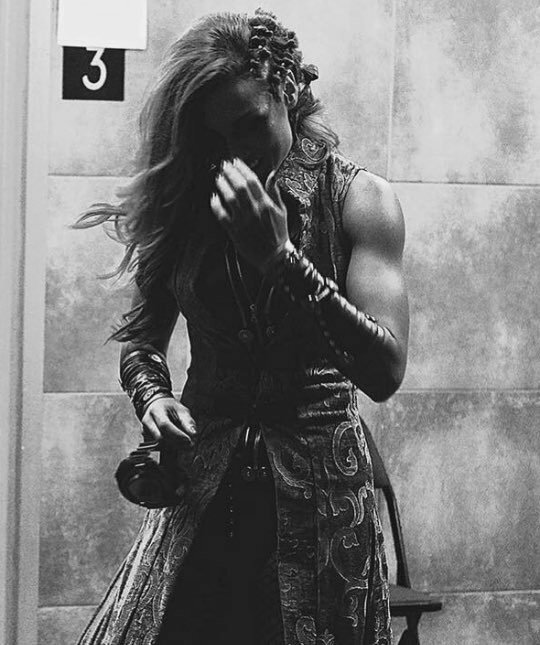 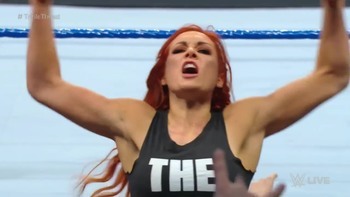 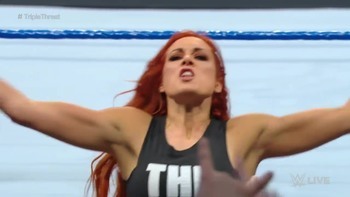 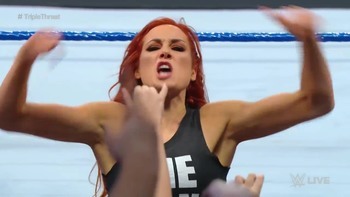 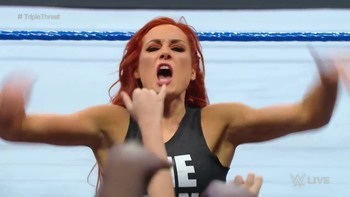 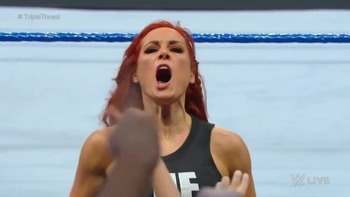 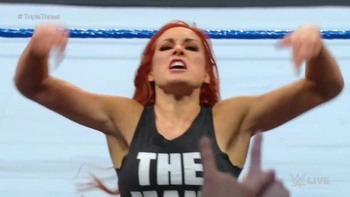 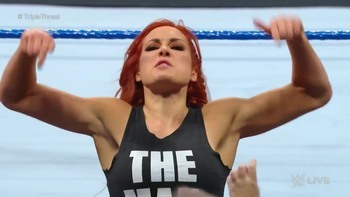 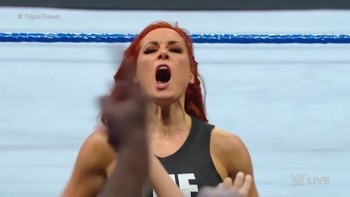 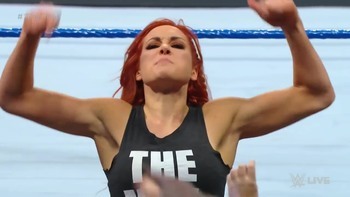 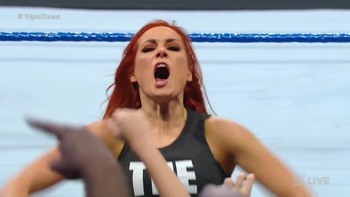 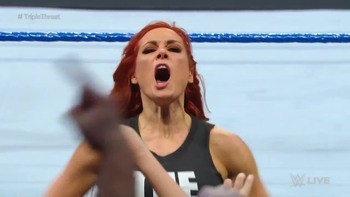 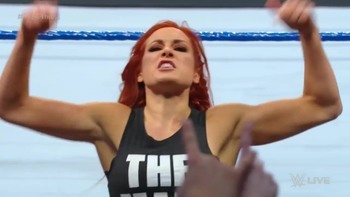 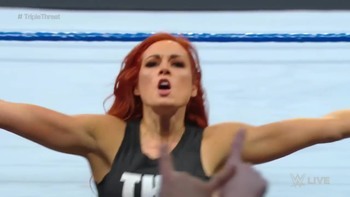 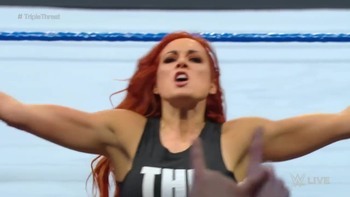 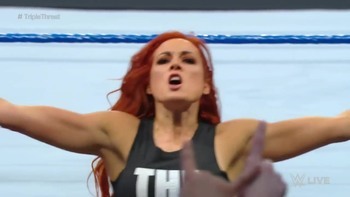 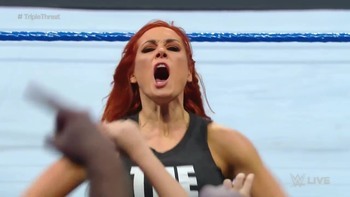 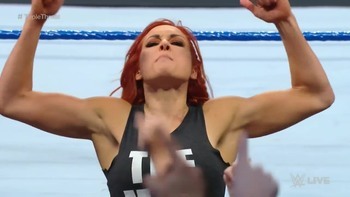 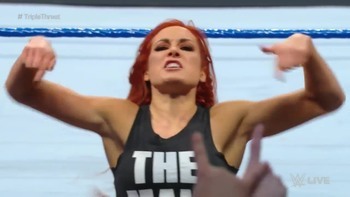 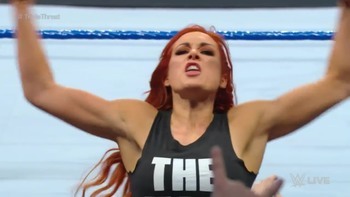 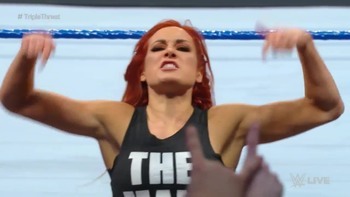 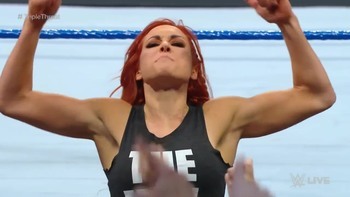 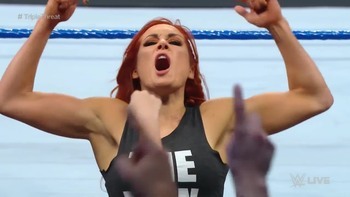 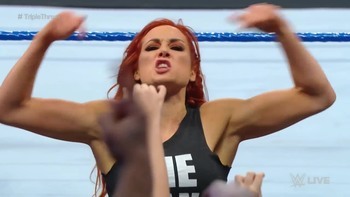 I made a series of screenshots from the last episode of smackdow where for a moment during the match we saw Becky Lynch's extraordinary shoulders and biceps. 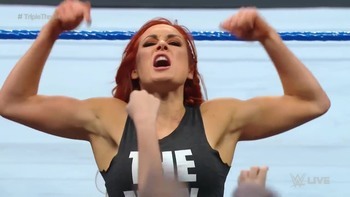 And it should be noted that it is not even a real flex... woooow! 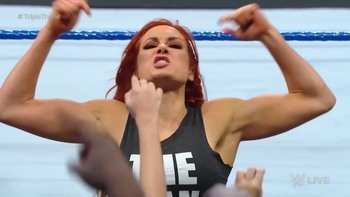 Twitter video of the line to meet "The Man" in Houston today. 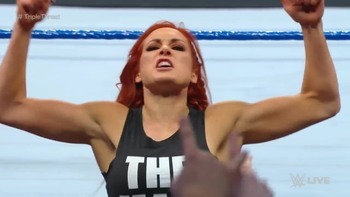 Yeah, I'd say she is a blistering hot commodity right now. 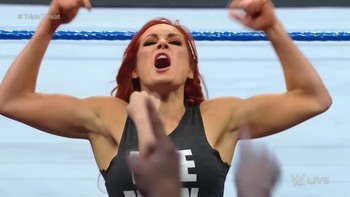 "Lynch immediately ran to assist the female, who was having a seizure." 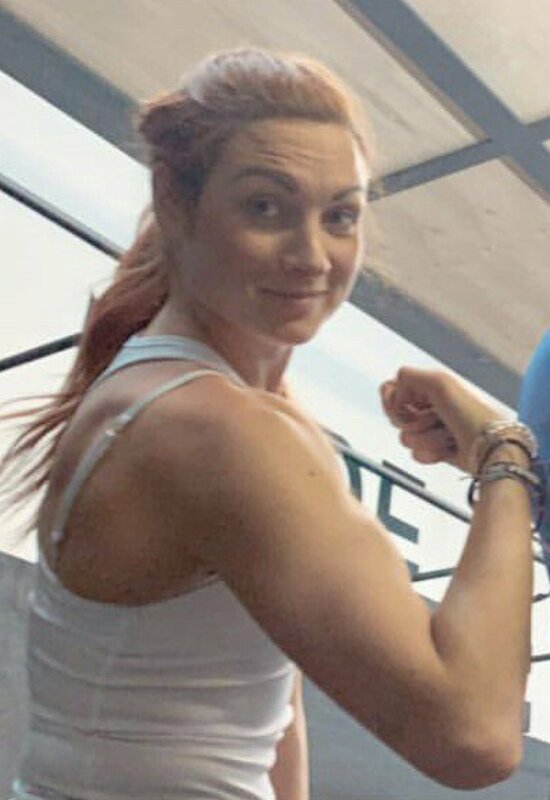 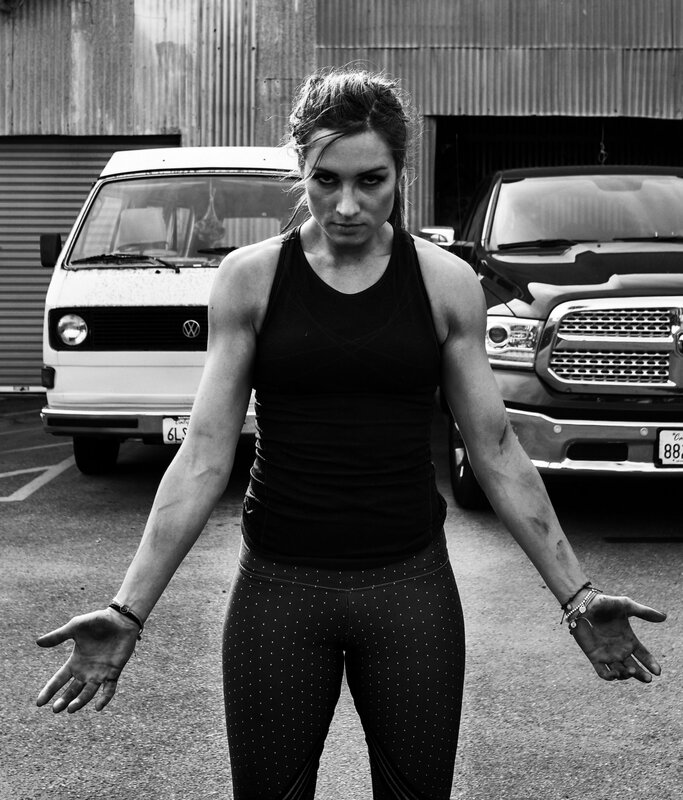 Guess Becky's knee is a completely "healed" now. 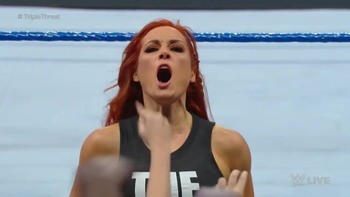 One thing you can never question about Becky and Charlotte for that matter, you NEVER and I mean NEVER hear anything negative about them outside the ring or at meet and greets. 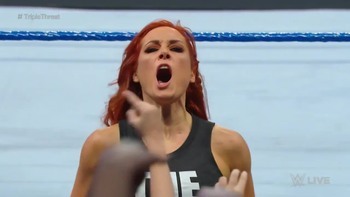 They are two of the nicest and most fan friendly WWE Superstars ever from all accounts.